The city is not organized properly. An Emergency Manager is overseeing the largest municipal bankruptcy in history and at the same time overseeing the operation of a city having a geographic area greater than San Francisco, Boston and Manhattan combined. No one on this planet can handle both tasks at the same time. 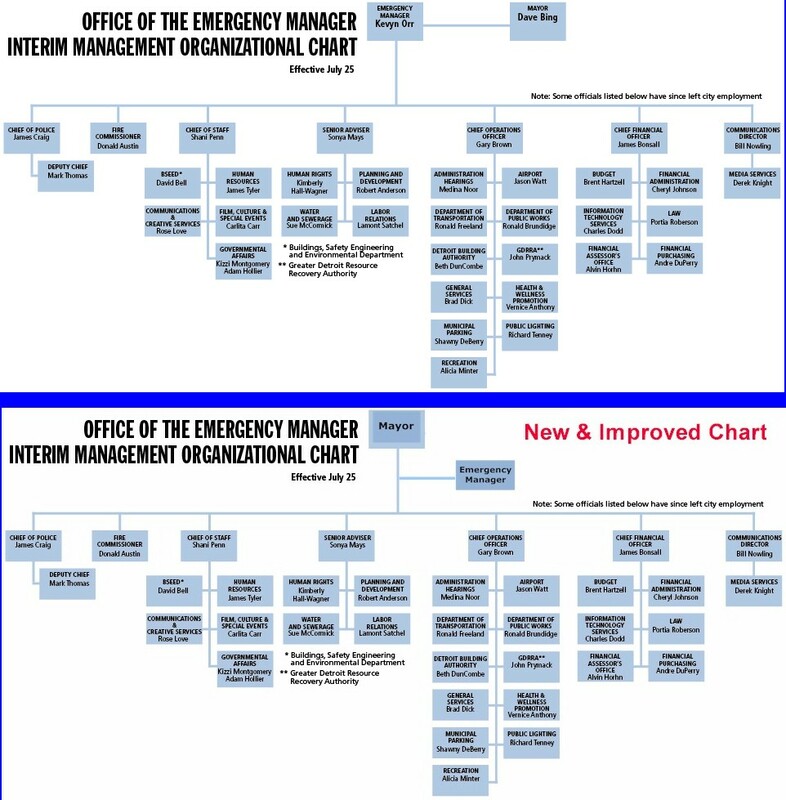 Below is a the start of a proposed revision of the city's organization chart. In addition, the Mayor needs to further delegate responsibility and authority to the people reporting to him. As Ronald Reagan said of the Soviet Union, "Trust, but verify." 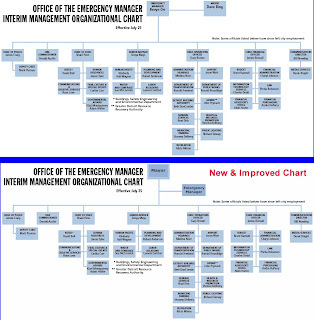 The organization chart below needs further work.